Do you own a property in West Perth? Landscaping has a significant influence on your property’s appearance and, ultimately, value. Trees form an integral part of a property’s landscape, and sometimes, they may require special attention. If you are not an arborist that possess the necessary equipment, taking care of your trees may pose a challenge. High-intensity maintenance, for example, lopping or tree removal may be downright dangerous and can even cause damage to your property. Since you are living in West Perth, however, tree maintenance doesn’t have to be a problem for you. 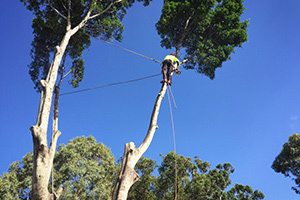 Perth Arbor services provide high-end tree services to property owners in the area. Keep reading to learn how we can help you. Have questions about Tree Lopping in West Perth? 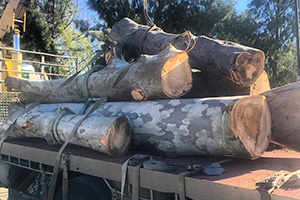 With degrees in Arboriculture from the Murdoch University, the team of tree surgeons at Pert Arbor Services has all the knowledge necessary to help you with all your tree needs. We go to great lengths to meet our clients’ requirements as well as to enhance the health and sustainability of every tree that we maintain. 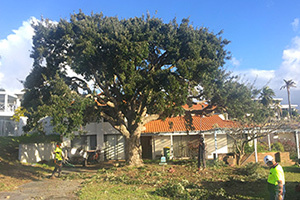 In cases where trees are problematic, our lopping and removal services aim to have a minimal impact on the surrounding environment. Sustainable and effective tree maintenance require sound arborist knowledge. 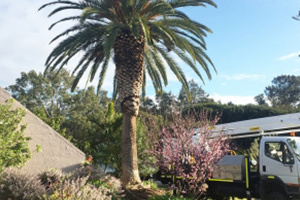 Ask the expert tree surgeons in West Perth to help you with your trees. Tree lopping differs from careful pruning in that is the indiscriminate cutting of main branches. If you don’t have the necessary skills and knowledge, your lopping efforts may leave a tree vulnerable to decay and pests. At Perth Arbor Services, we ensure that we lop trees without causing them long-term harm. In some cases, getting rid of a tree is the only solution. 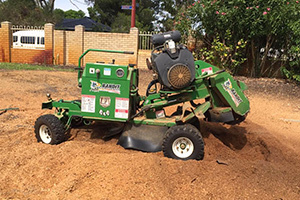 Our tree removal and land clearing services are effective, and we do it as skilfully as possible to have as little impact as possible on the surrounding environment. When a tree is getting too close to your structure or other sensitive areas around your property, you may start thinking of potential damage and the costs of removing a tree or some of its branches. In these cases, a tree risk assessment can be incredibly valuable. Perth Arbor Services provides these assessments by conducting a thorough inspection and making recommendations as to the risk, potential consequences, and the most optimal course of action to mitigate risks and reduce your costs in the long-run. If you think that a tree can potentially cause damage to your property or personal injury, Perth Arbor Services can provide you with an in-depth risk assessment. We provide a wide range of tree services, including pruning, cabling, deep root fertilization, and more. If it has something to do with a tree, we can help you. Our team is standing ready to help you. 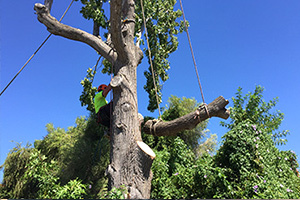 Contact Perth Arbor today for all your tree solutions in West Perth.